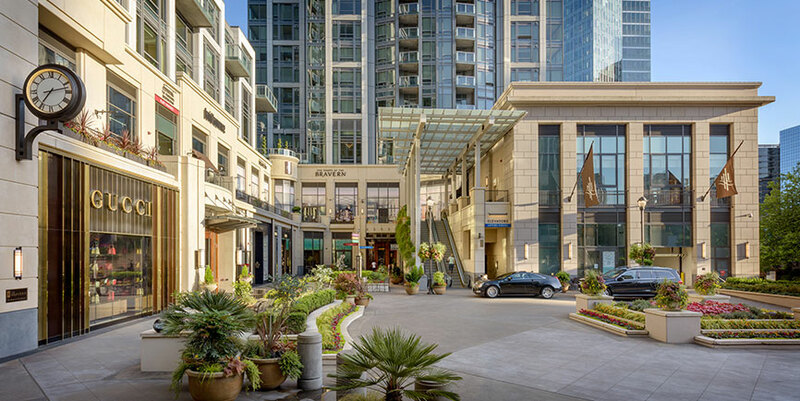 The largest collection of luxury brands in one stylish Pacific Northwest destination. The Shops at The Bravern features Prada, Hermes Paris, Louis Vuitton, Moncler, Omega, Salvatore Ferragamo, Gucci, luxury department store Neiman Marcus and other designer stores to provide the ultimate shopping experience for staycationers and tourists alike. Dining is a delicious experience at the local chef-driven John Howie Steak, award winning Café Trophy – Trophy Cupcakes, the hotpot restaurant from China The Dolar Shop, and fun atmosphere of Sugar Factory. Self Parking: Park and take elevators to Level 2. From there, you will be able to access stores and restaurants on Level 1 and 3.